Product #15958 | SKU TIKI | 0.0 (no ratings yet) Thanks for your rating! 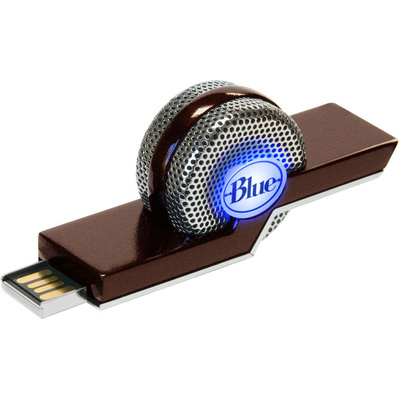 The Tiki USB Microphone from Blue is a plug 'n play USB microphone for musicians, communication, podcasts and much more. It features a 400 MHz onboard DSP chip. The Tiki's extensive DSP technology goes into two operating modes for focused signal or wide, natural signal reproduction. Its Intelligent Speech Mode, co-developed with iZotope, brings your voice to the forefront of a conference call or chat while noise-canceling technology simultaneously minimises unwanted, competing background noise. Natural Recording Mode captures a wide range of sources from vocals to acoustic guitar, recording high-fidelity audio with exceptional clarity.